It made a pleasant change to have a short trip to the match as Ashlea Farm lake is just up the road near Horton. 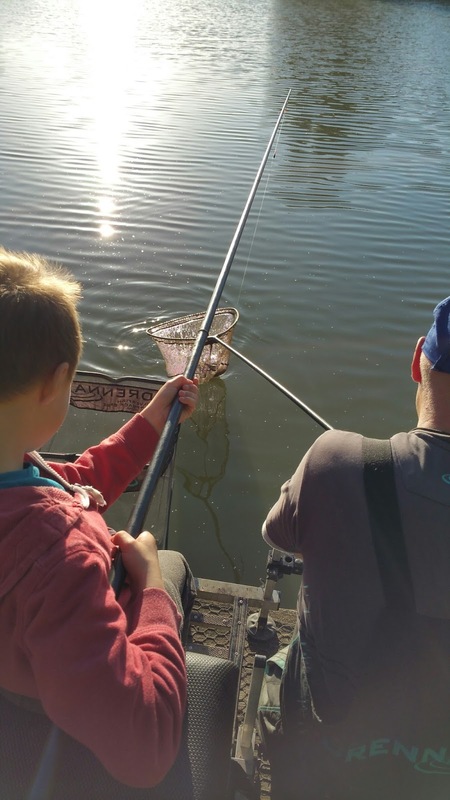 The group of anglers from Cross Hands Angling Club were very welcoming and there was a lot of good natured banter, mostly centred on the performance of the lake in recent days. It all sounded promising. Lordy drew peg 1 which meant he had a lot of open water in front, a channel to his left and a very nice looking margin to his right. His tactics for the day were to fish 11.5 m out in front, 5m to his left in the channel and over to his right tight to some lilies. The first hour was spent wondering why only one small skimmer had taken his 6mm expander out at 11.5m. 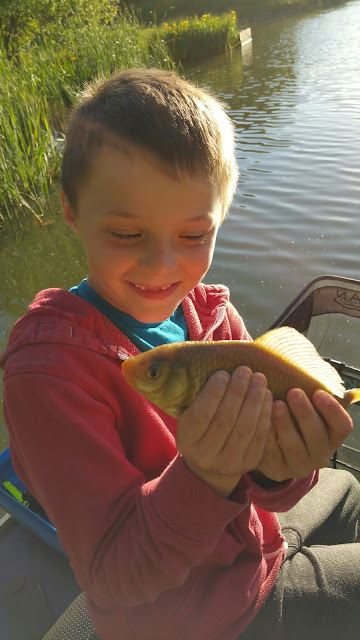 A trip to the channel resulted in some very spirited chublets and a good sized roach on caster but initial trips to the margins remained fruitless until about three hours in to the match when he captured a small tench, a crucian and a carp of about 5lb. This particular carp led him a merry dance and at one point was 10m up the channel! At the end of the match he weighed in with just over 8lb. Chris took up residence on peg 5 with a very good island chuck and promising margins. He initially went out 6m and was soon catching roach and skimmers. However, when he decided to go over to the island matters improved considerably. It took him some while to locate a spot tight to the island which was about 18" deep but once there he fed steadily and fished expander shallow on 0.15 power line and grey hydro elastic. Soon carp number one arrived which took him way off to his right around the island. Once in the net he shipped out again but had to wait some while before carp number two was netted. At the end of the match Chris had bagged six carp and a decent net of silvers to give him 37lb and first place. 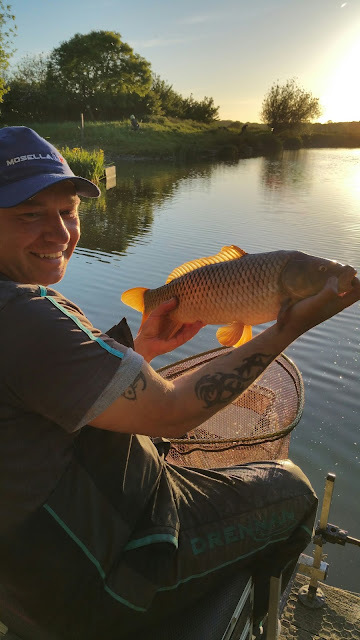 If you wish to fish Ashlea Farm Lake you need to be a member of Cross Hands Angling Club. Details are on their web site or you can grab some at Fish & Field. Dynamite baits have been pulling out all the stops recently and have enhanced their bait range. New to Fish & Field are two groundbait mixes - the XL range White Chocolate and Coconut and the Mega Margin Mix. They have also introduced a range of ready to mix pastes - Red Krill, Betaine Green and Amino. These mixes are two for one - two portions of powder for one portion of water and are ready to use in about ten minutes. Dynamite have also added to their liquid CSL by introducing Krill and Squid liquids. Not to be outdone, Bait-Tech have finally brought out their Poloni boilies (freezer) and pop-ups. On the tackle side of things Mosella Pole Rollers are available at a very reasonable £39.99. These have good extension to the legs and are a sturdy make. There is a lot more Matrix (Fox) tackle in the shop. The latest is the Matrix rig case which has a rubber seal to keep your rigs dry.